A pick-up in house building helped growth in Britain’s construction sector speed up slightly last month, but the expansion remained weaker than last year’s robust rebound, an industry survey showed on Wednesday. “UK construction companies remained on a reasonably strong growth footing in August, helped by a sustained recovery in both residential and commercial building activity,” Tim Moore, an economist at survey compiler Markit, said. The fastest-growing construction sector was house-building, and commercial work also rose strongly, while civil engineering projects remained in the doldrums. 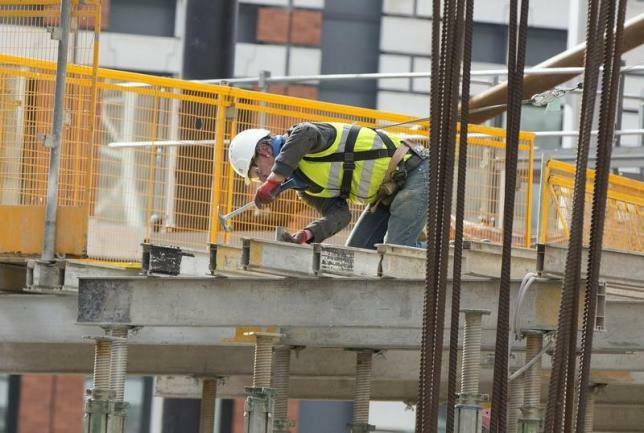 Britain’s construction sector picked up sharply in early 2014, bolstered by rising property prices and government measures to promote house-building, but flagged towards the end of last year as tighter lending rules slowed price growth eased. Hiring continued at a rapid pace, and a fall in oil prices slowed the increase in raw material costs. The rates paid to subcontractors rose at the slowest pace in more than a year.